Like most kids I got to go on some rides on the back with Dad. In those days it was a T500 Suzuki and a couple of Honda’s. There was a time when I was about 14 when we headed off on an ill planned trip to Ayers Rock, with minimal gear and probably not enough money. It became obvious when we were near Adelaide when the weather turned sour, that a rubberised ground sheet stretched between saplings, was not going to be enough to ensure my well being. He rather skilfully got me to help with gathering up of underbrush and bushes to form a windbreak and dug a bit of a shallow trench in the sandy soil. Once darkness fell and the fire was established, he could see that we needed better wood, so after some counselling on the pitfalls of becoming a thief, we stole a red gum post (as they were then) from beside the road and settled in. It was about then that I felt the pull in two directions at once..
Do I sleep an acceptable distance away and freeze my arse off, or stay close and hope my mates don’t find out ? He said my mates would not find out and reached out to shake my hand in the pitch dark to seal his word on the matter, I felt closer to him than ever, even before I moved across, and once he threw the ground sheet over me, the next thing I heard was the screaming of Kookaburras and Cockatoos on a beautiful Aussie morning. I may be bullshitting myself here, but I know the bike was parked right beside us and with the rubberised cover over us both, I thought I could feel it’s warmth...probably not in reality. He passed away in 1997 but I still see the place as I pass by in the truck or on the bike.. It feels the same on 34 wheels as it does on two, and I still love him for it. Mum died 4 days ago and it was one of the last stories we recounted.. I realise in the current climate there are a hundred tasteless jokes that could be made given that I grew up in the same town as George Pell, and I’ll chuckle as much as anyone if there are any..
My dad (stepdad) did not believe motorcycles were safe. Death machines you know... But he did co-sign for my second bike, I think to assure that I wouldn't have to drive his car or be on his insurance. Thanks for sharing that Huzo. So glad you got to retell that story with your mom before she passed. nope. Mine stopped riding for 51 years. 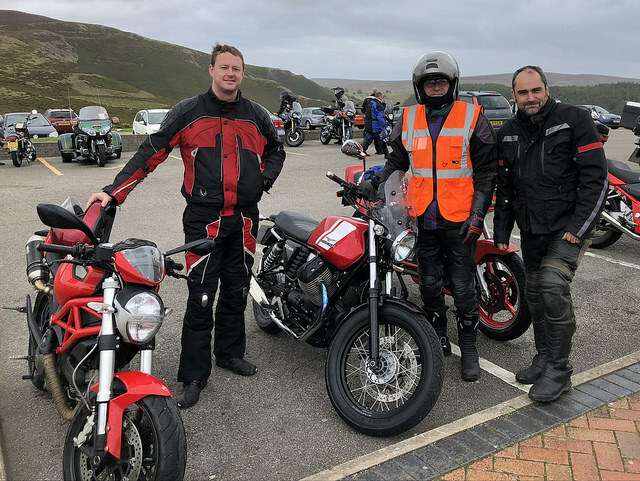 He took the MSF course, aced it, and bought a Honda Rebel. Unfortunately he got lung cancer and died before I could ride with him. I've had some great rides with both of my sons, especially the 17 year old now that he can ride on the street. I hope they appreciated it someday. Great story Huzo. My dad never rode but my oldest and youngest son do. My oldest and I started to go for weekend camping trips back in 06 and went to Nova Scotia for a week three years ago. My youngest son got a bike three years ago and I have been away a couple of weekends with him and with he and his brother together a couple of times as well. A good ride, a campfire and a few beers with your sons........doesn't get any better! No but my boys came up ridding with me as soon as they could walk. Nope. Dad was a mean tennis player and could paddle a canoe on a calm lake. But he chauffeured us around Western Europe in 1960 in a new Beetle, probably the high point of my education, and subsidized many hare-brained adventures. He collaborated on the purchase by his sons of bicycles, sailboats and other good clean fun, and taught me to drive stick so I could tow those boats. But motorcycles were right out of it -- Mom's attitude was "If the bike doesn't kill you, I will." I never remember a time when my dad didn't have a motorcycle. I was raised on them. I'm 66 and dad's 86 and we still ride together. His both Guzzis now have sidecars mounted. A 73 Eldorado and an 84 Convert. 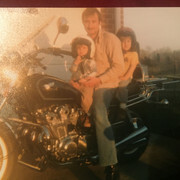 I have a picture of him on an Indian with a sidecar and my two brothers and myself in the sidecar. I'm about 4, my older brother is 5 and younger brother is 2. We made two trips together from eastern Pa to Arizona for the Prescott Rally. The last one we made was when he was 78. It's been a great life with him and I am so fortunate to have shared all this with him. He has been my best riding friend for years. My both brothers ride Guzzis as does my wife and our son. I could not ask for more. Thanks to those who offered condolences..
Mum said she was keen to see Dad again and I told her to be careful what she wished for..! There is an upside though, where Dad went there is no need to light a fire, they burn for all eternity apparently..
On a different matter but sort of connected.. When I gained my senior instructor rating in gliders, I would take Dad on cross countries in the Janus, or ASH 25. I drew the obvious comparison and recounted the above story, he made a nice comment regarding baton passing or similar..
I’m glad I was in the rear seat, I think we must have been near cloud base.. It all got a bit misty. Nope. My dad never rode. He was into hunting, fishing and watching sports on TV. Condolences Huzo on your mother's departing. A sad time. My mother didn't like motorbikes, my dad had one for a considerable period. I think he gave them up when he and my mother married. He did however, encourage me to get my first bike. He always turned down my offer to take him for a ride sadly. A generation on and my son rides with me when he can. We have a 600 mile return trip planned for Easter. Funnily enough, I am much more likely to do a solo mission than he is. My old man had a Vincent Black Shadow and a Sunbeam S8 sidecar rig in the 50's in the UK, but didn't take any interest in bikes after we came here to Aust in 1964. In fact he was busy working 4 jobs to put a roof over our heads so didn't take any interest in us kids either. No wonder I have no parenting skills. You’re an Aussie, you don’t need parenting skills..
My old man wasn't into bikes, and my mother didn't like them at all. I was very surprised when he offered to help bring my first bike home from the railway station in the trailer (I didn't have my license yet), and he didn't tell mum. He had a smile on his face when he saw the bike. My Dad rode bikes but got rid of them before I came along and never gave me any encouragement to ride. In fact even with me WELL past 18, I still think the thinks I'm an idiot for riding one! I am fantastically lucky to be able to go out with my Dad and Son. Love and enjoy every minute of it. Emotional at times. Pretty poor clip from the LM of the lad on the back of the auld fella's 1000's. At the Pondorsa With Dad on V7, brother in law (Ducati) and my Lm. Great story, and something you will keep with you forever. Im the first gen rider in my family. Not really close to my dad, but wile he didnt ride, he could hunt, shoot, so I would have been well fed.. Grew up with my stepdad, and still not really close, but he was a old school racecar driver, and mechanical wiz.. Thats where my love of machinery comes from. I picked up motorcycles as a young adult after a childhood of mini bikes, and ATC's.. Never got the Dad stories though... I just try to be better with my kids. Nope. Dad was into boats and fishing. I got my first boat at age 7. Got into bikes on my own at age 20. That said, thank you for sharing that story about your dad. Those stories are priceless. Only riding I've ever done with my dad was when I was 2-3 years old going around the driveway, me sitting on the tank, of his old Honda CB450. The following winter, mice got under the side cover and chewed the wiring, it hasn't ran since, but it still turns over just fine. I'm planning a restoration of that old bike. But... my dad is now 75, headed for 76 this summer. His motorcycle riding days are likely done. I did get to ride with him for day ......brought his ashes with me tucked into the saddlebag on the Cal3FF, his favorite..
My daughter has the skill, but not the need. I hear you, Chuck. My father had a 1935 Harley-Davidson 74 when he was in the Army Air Corps during the war, so he had previous experience when I got my '72 H2 in 1978. When he retired about then, he bought a couple motorcycles to fix up and sell, thinking it might be a fun retirement hobby. We rode a little together when he had an H1, and then a mid sized Suzuki 4-stroke. When we had him cremated in 2016, I rode my Mille to get his ashes and bring them home. About all I could think about was how strange and sad it was to have ridden with him back in the late '70s, and now be carrying him home on the back of the motorcycle with me. I rode on the back of my dad's 1961 Panhead. That started my motorcycle sickness. I'm loving every minute of it !! Dad was a despatch rider for the CDN army, rode TRW500s. When I was a hair under 2 years old, he bought a '72 CB350 that some kid rode from California to Whitehorse, for $200. I grew up staring at that thing, and bouncing down fireroads and gravel backroads behind him, until he bought me a XL80S in 1981. He sold the 350 in the early 90s. But I found it in the early 2000s. Same bike, numbers verified against old reg papers, I bought it... for $200. Still own it. Will never sell it. Dad's still alive, but he fought off cancer 15 years ago, and is currently recovering from G.B.S. I don't know if he'll ride again, but I'm working on getting my CL90 back on the road, so if he comes to visit us, he can putt around on it. Truly sorry for your loss, Huzo. 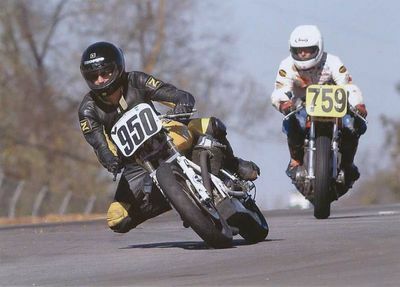 My Dad was an amateur flat track and motocross racer around the time I was born. He purchased a '74 CB750 from my Uncle and would transport my older brother and I around on it with me on the tank and brother on pillion, often on the highway. Brother and I are hooked pretty bad, but Dad hung it up more than thirty years ago after getting tired of commuting on the old CB in South Houston traffic. He came up for a visit last year, and I had planned a dirt bike day for family and friends at my Uncle's farm so he could watch his grandsons ride, relax, and shoot the breeze with my buddies... one of which brought his identical to my Dad's '74 CB750 in Flake Sunrise Orange. Half joking, I told my Dad that if he felt so inclined, he was welcome to ride my Yamaha TW200 around the course. He said, "I thought you'd never ask!" I handed him my helmet and after what was probably close to 35 years since he rode that CB, and at 75 years old (I know, I know! ), he did three laps of our 1/2 mile dirt course. Awesome. The TW200 is first on my "next bike" list. I have to have one. Thats awesome man!! Boys never grow up, and its always fun to play in the dirt!! !